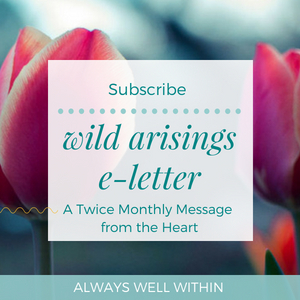 I'm delighted to share a guest post today by Liz Smith from the Connected Life. When I rewind back several years, I was one of many doing the juggle between raising a young family, running a business, dealing with ill health and all that life throws at you. Amidst the daily goings on of life, there were moments when I felt that I was surely going to buckle under the pressure of it all. As a quiet introvert, I never intended to lead a frantic life, yet somewhere between newborn babies and an ambitious brain that just wouldn’t quit, I found myself knee deep in overwhelm. My story is not unique, in fact I know it’s a sad re-account of countless women and men everywhere, all pushing and striving just to get through the day. When you examine the truth of it, most of us know the current pace of life is not working, yet the idea of slowing down appears more frightening than our frantic attempts to keep up. When you live in a constant state of overwhelm, consumed with anxious laden thoughts, there is literally no room for anything else. If you long to experience less overwhelm, firstly let’s take a look at what overwhelm may look like in your life. Poor focus – Do you find it hard to focus on one task at a time or prioritise one task over another? Frequently rushing – Are you rushing through your day? Do you watch the clock and constantly worry about not getting everything done? Do you hold a belief that you must do it all or things will not get done? Dread and disconnection – Do you wake up with a sense of dread some mornings or a lack of enthusiasm as you move through you day? You can’t say no – Do you find it hard to say no? Do you agree to tasks and activities that you know you don’t have time for? Are you worried about letting others down? Tears and tantrums – Are you emotional often? Are feelings of helplessness, stress, confusion and frustration familiar to you? If someone were to ask “are you okay?” do you feel like you might break down and cry? Indecision and inaction – Do you find it hard to make decisions and procrastinate on taking action? If you find yourself reading along and nodding in acknowledgement of these signs of overwhelm, I understand. This was me a few years ago, trapped in a mind that didn’t know how to slow down and a body that was willing to be dragged along for the ride. The problem is, deep down I knew my state of overwhelm was a choice. In my heart I wanted a life of deep, soothing, serene calm. I craved the bush hills of my youth, the dirt beneath my feet and the stillness in which to revel in it. It was this inner calm that my heart has been calling me towards, countless times throughout my life. It turns out I just needed to teach my mind and body how to get there. While there is no silver bullet method to creating a life of calm, there are several things you can do to support yourself to reclaim peaceful moments. With regular practice, all of these techniques will assist you to grow in awareness around your triggers for overwhelm. When you know what overwhelm looks and feels like in your life, you can begin to make choices in support of a calmer life with more ease. Understand your individual needs - Are you an introvert who craves regular bouts of solitude or do you need the company of others to feel energized and enthused? When you know the answer to this, you can make choices that honour your need for quiet space or personal interaction. Set healthy boundaries – When instinct tells you to say “no thank you” to a request or invitation, trust it. Establishing healthy boundaries that honour your need for downtime, is crucial to your wellbeing. Maintain rituals and routines - If you know that soaking in the tub for 20 minutes benefits your sanity, don’t give this up for a task you think you “should” do instead. Whether it’s walking, meditation, knitting class or yoga, if you love it, consider it an essential practice that connects you with your inner calm. Start with hard tasks - At the beginning of each new day, tackle the “harder” tasks first. Don’t expend mental energy putting off a seemingly difficult task, only to feel bad about not getting it done by the end of the day. Delegate tasks - While it may be true that others won’t fold the sheets as well as you, nor wipe every crumb clean from the bench, the real question you need to ask yourself is “what really matters here? I’d vote for your sanity and peace of mind and get comfortable delegating daily tasks. Pour on the self-love – It may come as no surprise that your inner critic goes into overdrive when you are experiencing overwhelm. This is the time to be mindful of your internal chatter. Try pouring on the self-love with encouraging words that affirm you are doing the best that you can do. Have a touchstone – I have a client who keeps a touchstone in her pocket. As overwhelm shifts to anxiety and panic, she reaches for her touchstone and brings her attention to its smooth surface. It provides a sensory anchor that directs her attention and thoughts away from the internal sensations of overwhelm. You might like to try this by saying a mantra, inhaling the scent of essential oil on a handkerchief or by gazing at serene photo. Stop and notice - Acknowledge feelings of overwhelm when you first become aware of them. Be curious about its presence. Remind yourself that while the feelings and sensations of overwhelm in your body are real, the thoughts that create them are not. Most often the outcomes we fear will happen, rarely do. Change one thing - As soon as you notice the familiar sensations of overwhelm in your body, slow down with the intention of putting some space between you and the sensations you are experiencing. Commit to changing one thing (the pace of your breath, a worrisome thought, edit your schedule) and see if this change dials down your experience of overwhelm. 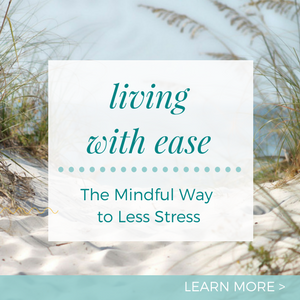 The real possibility of more peace in my life, came when I made the decision to intentionally seek out calm whenever I noticed my overwhelmed state. While life continues to surprise me with its challenges, I am committed to recognising opportunities to create calm in the midst of a messy and meaningful life and you can too. 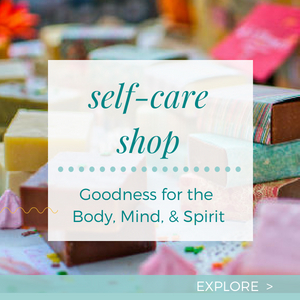 Through the process of awareness, curiosity, inquiry and self-care, it is possible to grow through your overwhelm and live in awareness of its triggers, as well as the touchstones that can bring you back to a calmer state. If overwhelm has been a regular visitor in your life, I’d love to hear in the comments, some of the ways that you call upon your inner calm. 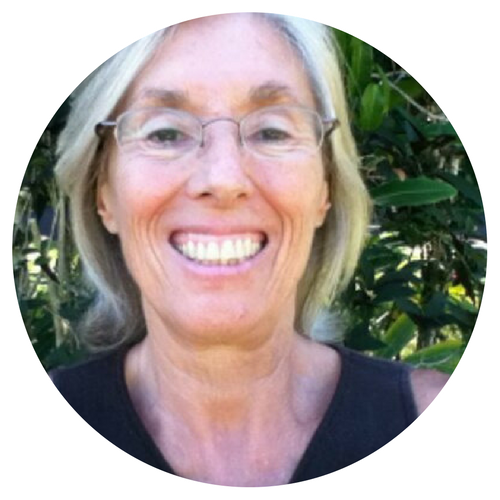 Liz Smith is a certified Life Coach, writer and advocate of a slow and intentional life. She writes about simplifying your life, deepening your connection with self and honouring your desires to create a life in harmony with who you are. You can find Liz coaching and writing over at The Connected Life.